New iPhone Updates | Get the latest iPhone updates, iOS apps, themes, wallpapers, games, iTunes, reviews and unlocking tips. 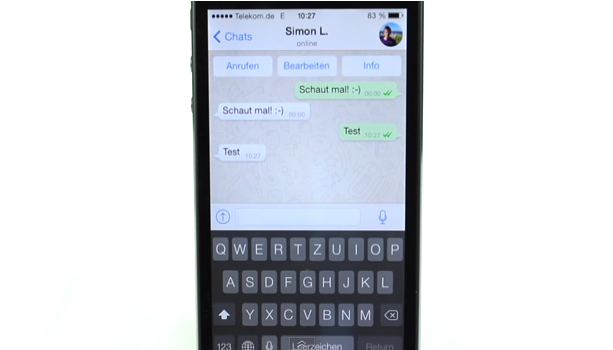 WhatsApp is one of the most popular messaging apps ever launched on iOS. It has millions of users, and as such, I’ve always felt the developers and designers have been resting on their laurels and not updating the look/feel/UX often enough. Don’t get me wrong, it’s a great service and connects many people across the globe, but someone really needs to set a fire under their developers’ backsides. iOS 7 has been available to devs since late Spring this year, and it’s still not updated its app to fit in with the new software. We have no information on when it’s going to land on the App Store, but, it should be fairly soon, given the “finished” look of the app in the video. The Chrome web browser for iOS has been updated with Autofill for fast form completion and the ability to search for related images via a long press. • Open and quickly switch between an unlimited number of tabs. On your iPhone and iPod touch, flip through tabs the way you would fan a deck of cards. On iPad, swipe from edge to edge to switch tabs. • Sign in to Chrome to sync your open tabs, bookmarks, passwords, and omnibox data from your computer to your iPhone, iPod touch, or iPad. Pick up right where you left off. • Send pages from Chrome on your computer to your iPhone, iPod touch, or iPad with one click and read them on the go, even if you’re offline. Tired of filling out web forms with the same information time and time again? The Autofill feature lets you complete forms with just a few clicks. Sign in to sync this data from your computer to your iPhone or iPad and save even more typing. You can download here Chrome from the App Store for free. Viber has announced the release of the next evolution of its mobile messaging platform today. Version 4.0 is rolling out to iPhone and Android devices. This update is very significant for the platform, bringing an all-new Sticker Market with a wider array of new stickers to boot. These stickers are both free and paid, marking the first time in which Viber has brought monetized features to its users. Additionally, the market will feature exclusive content tied into timely events and holidays throughout the year and will be regularly updated with new content to make messaging relevant and more personal. According to Viber, users have “reacted enthusiastically” to the app’s stickers thus far. 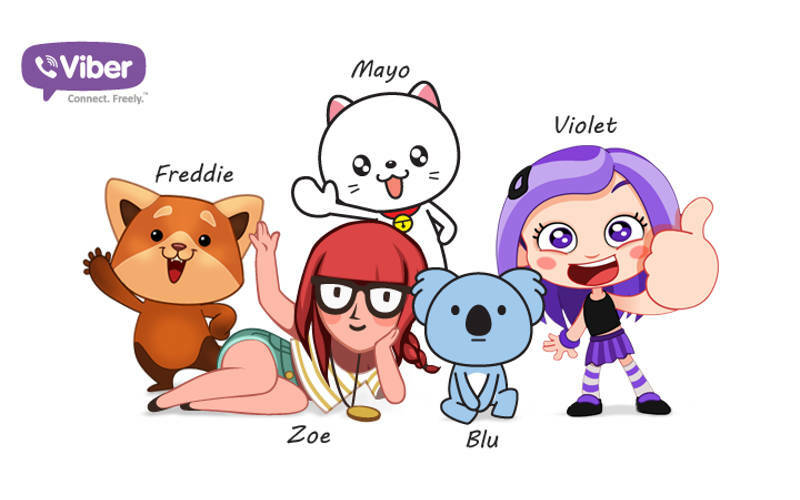 In addition to the much-beloved Violet character that has become synonymous with Viber, the company has also introduced two new characters: Mayo and Blue, along with an assortment of new personalities to help friends express themselves in messages in new ways. One of the other most notable additions in this release is the introduction of the Viber app’s new Push to Talk feature, which allows Viber users to send short voice messages to each other a la Voxer, except overall faster, since Viber’s solution records, sends, downloads and plays Push to Talk messages simultaneously while apps such as Voxer do them separately. This cuts the average response time for Push to Talk messages significantly. For instance, a 15 second message is 4-6 seconds, rather than 45-60 seconds. Another major change is the Viber app’s new support for Android tablets, allowing users to enjoy Viber on an unlimited number of Android tablets in addition to their smartphones. Viber’s support of Android tablets is similar to that of desktops, bringing the user’s mobile contacts to the tablet and providing full synchronization with messages and calls on the other devices. The arrival of the Google Nexus 5 is a reason for Android fans to celebrate. LG’s smartphone provides cutting-edge technology for an incredibly reasonable price. However, there’s another reason to get excited – it’s also the first handset to ship with Android 4.4 on board, the latest iteration of Google’s popular mobile operating system. But how does Google’s new update compare to iOS 7? Read on to find out. 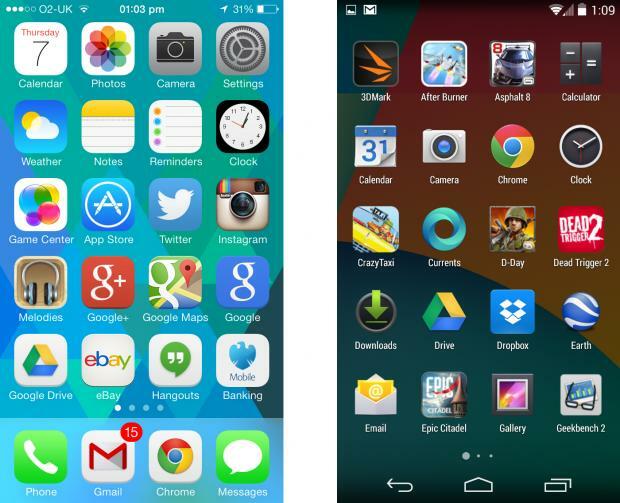 Android fans expecting a massive change similar to that seen between iOS 6 and iOS 7 will be disappointed. Android 4.4 is more evolution than revolution. Visually, it’s a very close match to 4.3, with the biggest aesthetic alterations being a slightly revised “Roboto” font and removal of the solid bar that surrounds the notification area at the top of the screen and the Android command bar at the bottom of the display. Another change takes place in Android’s app drawer, which is no longer given a boring black and is displays over the homescreen – a much more attractive look. The app drawer has also been trimmed down, with the Widget section being totally removed. It is now accessed by long-pressing the home screen, which is actually a regression on Google’s part, as that was how things were done back in Android 2.3. Aside from that, things have stayed very much the same in the world of Android; designer Mathias Duarte has shaped the OS to conform to his own unique vision, and what we have now is a more uniform appearance across phones and tablets [at least with “stock” Android]. When 4.4 hits other phones you can expect their respective manufacturers to apply a custom skin. Ironically, just as Android is finding its feet in terms of interface and appearance, Apple has moved away from the iconic skeuomorphic style to embrace a new look which is – in places – almost indistinguishable from Google’s OS. From the copycat lock screen to the thin fonts and similar app icons, the two operating systems have never looked more alike. 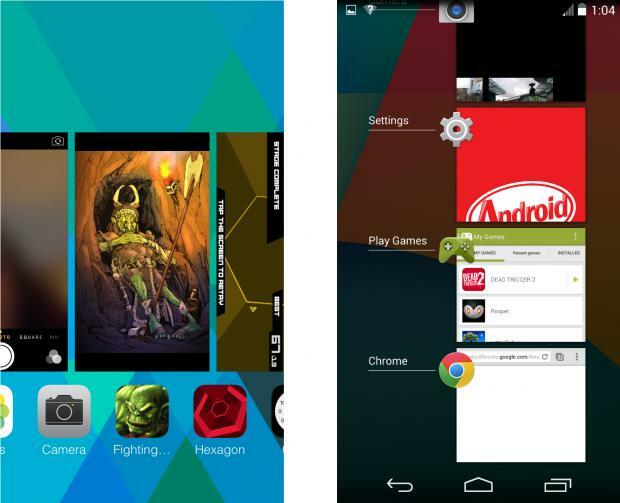 Multitasking in Android 4.4 is very much the same as before and is accessed by tapping the multitasking button. From here you can shut down applications by swiping them out of the application stack. 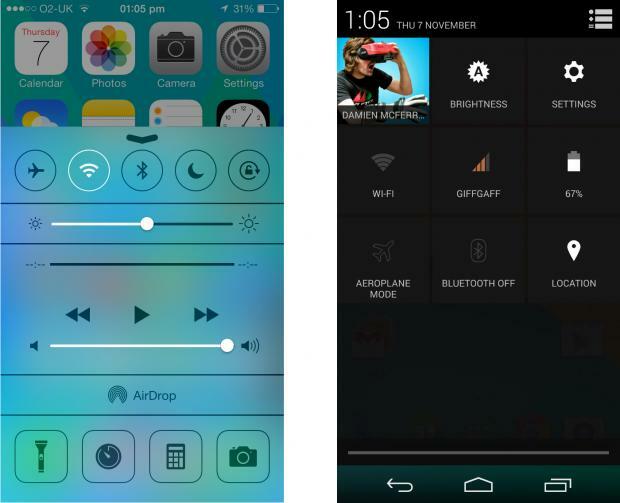 iOS 7 introduced a multitasking menu which was an almost direct imitation of the one used in Android, right down to using the same swipe gesture to dismiss apps. Inside, however, the core functionality is rather different. While apps in Android can continue to run in the background, in iOS most – but not all – applications are placed in a “frozen” state, which means they don’t consume processing power but can be quickly restarted at a moment’s notice. The advantage here is that battery life is conserved, but it means apps have to be specially coded to perform background tasks. The new iOS update of Google’s Google+ app is a good example – it will soon be able to upload photos to the cloud even when it’s not actually open. Android has been ahead of the game when it comes to notifications for quite some time now, and while there are no massive changes in 4.4, it’s still streets ahead of iOS. However, it’s important to note that Apple has made massive strides in this area. You can select how apps fire notifications – a banner or an alert – and have them appear in a special pull-down notifications panel, as well as on your lock screen. However, you have less control over notifications than in Android. In Google’s OS, your notifications are displayed in a pull down menu, but you can swipe away ones you don’t wish to read, and expand some ­– such as emails – to gain a better preview of their contents before actually opening and responding. Despite the advancements made in iOS – and Android’s lack of change – Google still has the definite advantage here. iOS 7’s Control Center is a massive stride forward for Apple, allowing users to tinker with settings no matter where they happen to be in the iPhone’s user interface. The panel allows you to activate airplane mode, switch on Bluetooth, adjust the screen brightness and even turn on the LED flash to give yourself an impromptu torch. All that is required is an upward swipe from the bottom of the screen. This feature can even be enabled so it’s accessible on the lock screen and within applications. Android’s quick settings functionality offers very much the same thing, and is accessible from the pull-down notifications bar. However, swiping down from the top of the display with two fingers instead of one instantly opens the quick settings menu. To be fair, both operating systems are pretty decent when it comes to this kind of thing, and there’s very little to choose from between them. Given Apple’s past history with music, the company revolutionized the industry with iTunes and the iPod, you’d expect it to enjoy a considerable lead over its rivals. However, Google has leveraged its position as the world’s number one search company to make some serious inroads into the realm of audio. 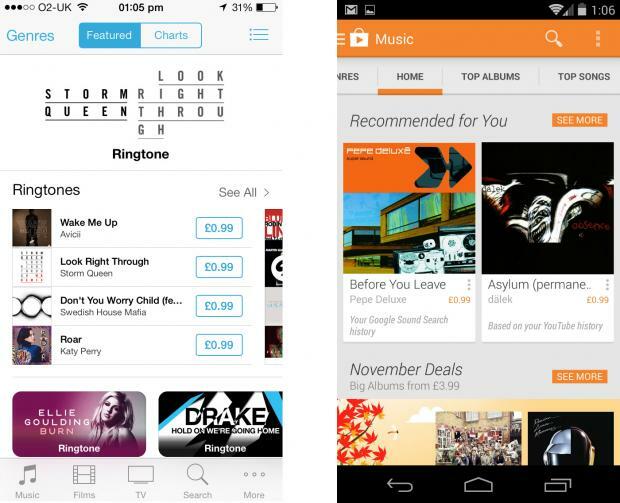 Google Play Music, which ships with Android, allows users to upload 20,000 of their own songs to the cloud for free and access them from any Android device. Twin this with a large music store and the recently-launched All Access service – think Spotify – and it’s clear that Apple’s previously unassailable position as king of the mobile music world is under threat. However, Apple still has iTunes, and that’s pretty much the de facto online music store right now. Apple also has iTunes Radio to match All Access, and iTunes Match for accessing your own songs in the cloud. With both services offering a decent interface, which ties in neatly with the rest of the OS, there’s actually very little to separate iOS and Android in this regard. 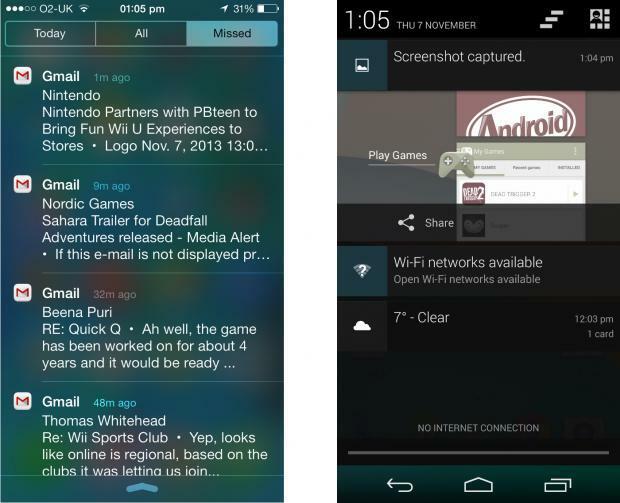 The way Android 4.4 handles messaging represents one of the biggest changes to the core OS. The familiar messaging app is no more. 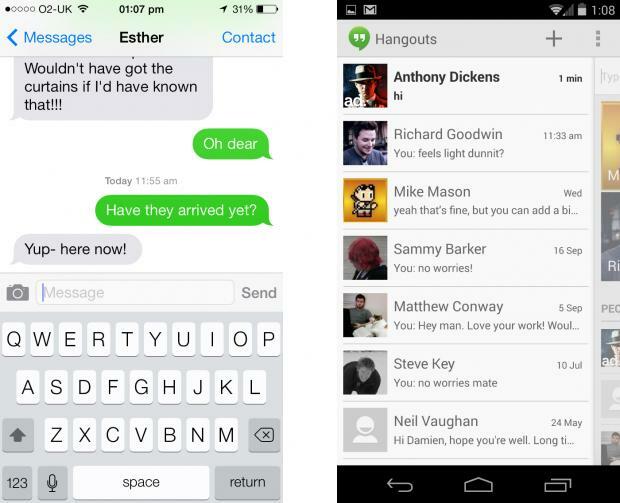 Instead, text messages are rolled into Hangouts, Google’s instant messaging client which replaced the all GTalk app. You can now message and text contacts from the same panel, although Android isn’t smart enough to know when you’re chatting and texting the same person – that skill is exclusive to iOS 7. Apple’s iMessage functionality knows when you’re texting someone who is also using iOS, and instead of sending a text message, uses your internet connection to send an instant message instead within the same conversation thread. Hangouts, on the other hand, will make you begin a new conversation if you wish to switch from SMS to instant messaging. Google is moving in the right direction here and Hangouts will surely improve over time, but iOS maintains a slim lead in this regard. Both operating systems offer a wealth of pre-installed core applications, many of which have similarities across both pieces of software. For example, signing into your Google account on iOS will offer very much the same experience as it does on Android – calendar appointments, email and contacts can be accessed, albeit in a slightly less intuitive fashion than on Google’s OS. If you’re a dedicated user of Google Mail then you may want to consider picking Android, because like so many of Google’s apps the service integrates so much better. On iOS, it’s possible to configure the default email account to use Gmail, but it doesn’t pull in email addresses of everyone you’ve ever contacted and you can’t search your entire inbox. A Gmail app is available for download, but it’s somewhat clunky when compared to the native Android offering. 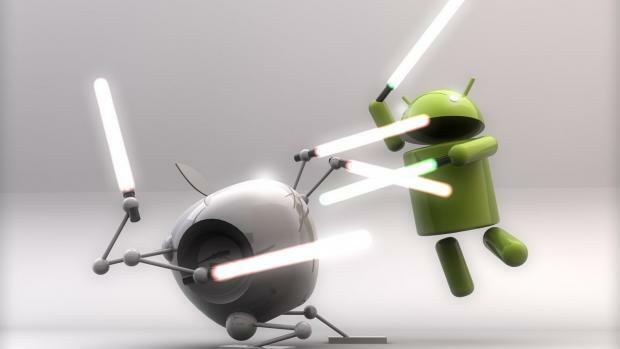 This is another area where Android is king. You can share things in Android between a whole host of applications, but in iOS you’re a little more limited. 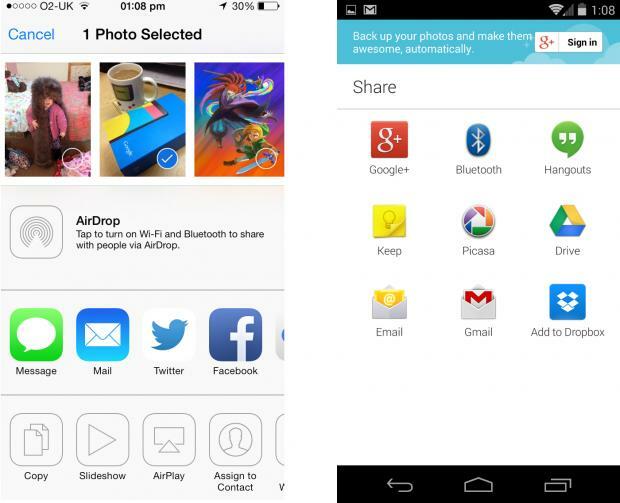 For example, a photo in Android can be instantly shared with any app on your phone that has the ability to accept images, such as Twitter, Facebook, Instagram, Dropbox and Google+. However, sharing an image in iOS is rather more difficult, and often you have to open the relevant application and access the image that way, instead. Again, this is something that Apple is working hard to improve. For example, sharing content to Twitter and Facebook is much easier now, as both social networks are hard-wired into the operating system, but it’s clear that Android is leading the charge, despite the lack of any real changes to the way in which its sharing system works. The big difference in 4.4 is the ability to print documents on cloud-connected printers, which is something we’re not entirely sure we’d find ourselves using all that much, but it will be handy for business people. Gaming on smartphones is a massive business these days, and although Apple has been notoriously reluctant to acknowledge this fact in the past, the firm has recently taken steps to make interactive entertainment on iOS a little more appealing. iOS 7 features Game Center, which is Apple’s attempt to replicate the same feel as Xbox Live on the Xbox 360. Gamers can create a profile which then ties in all of the games they have played, allowing them to build up a “gamer score” which can be compared with friends. You can also send challenges to people from within the application itself. Google has been somewhat slow to respond to this, possibly because Android has been treated as second best by many mobile developers. 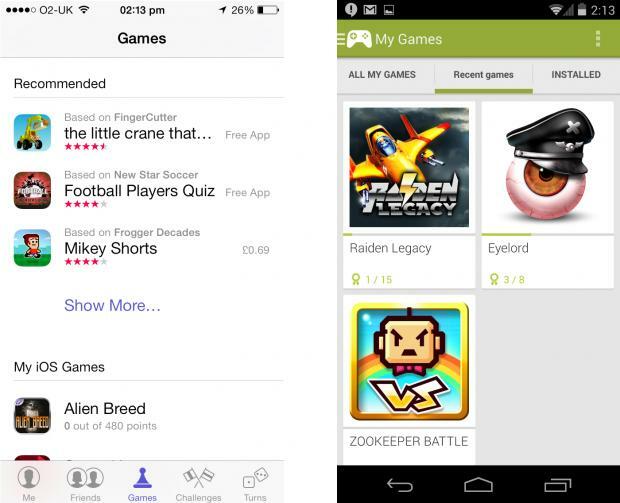 That is slowly changing, and thankfully Android 4.4 now has its own gaming portal, Play Games. Like Game Center, it allows you to track the games you’ve downloaded, earn achievements and issue challenges to other players. While it’s not quite as established as Apple’s offering yet, it’s certainly getting there. While both Apple and Google could potentially do a lot more with this kind of gamer-focused functionality, the building blocks are in place. When Apple updated iOS it polarized a lot of users. Some didn’t like the cartoon-like visual style and the various changes made under the hood. However, as the dust has settled it has become clear that iOS 7 represents a considerable evolution of the software. Apple may have borrowed elements from its rivals – the multitasking menu lifted wholesale from Android being the most obvious example – but in doing so it has improved functionality no end. When enough time has passed for people to forget about the drastic change in appearance, iOS 7 will undoubtedly be remember as a move in the right direction for the world’s biggest tech brand. Given the close proximity of their respective releases, many will be expecting Android 4.4 to match iOS 7 in the “dramatic change” stakes, but that’s simply not the case. 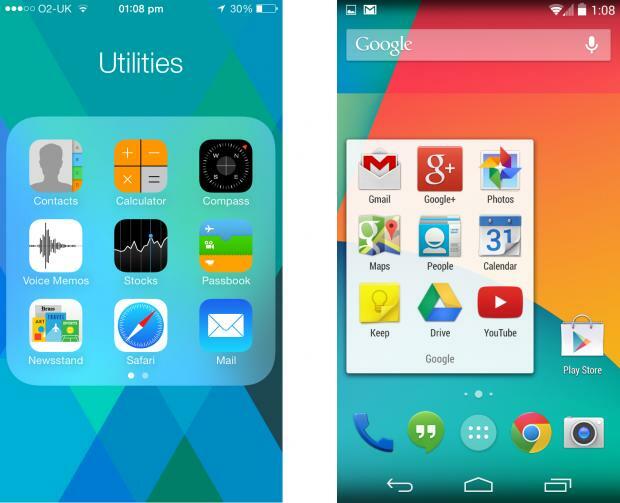 Android already has many of the refinements introduced in iOS 7, and therefore has less ground to cover. 4.4 adds in some new features, such as cloud printing and massive optimisations, which allow it to run on phones with as little RAM as 500MB, but on the surface, a layperson may be hard pressed to tell the difference between 4.3 and 4.4. A lot of the effort gone into creating 4.4 will no doubt occur out of sight, it runs smooth as silk on the Nexus 5, which will come as no great shock but when we see it trickle down to older, less capable devices, then we will surely see how much of an improvement it is over 4.3. As we’ve already said, there is so little to choose from between these two operating systems now that it would be foolish to switch from one to the other just because you fancy a change or feel you are missing out on something. Both offer comparable levels of functionality and apps although one area where Android absolutely dicks Apple is in the types of devices it is available on – you can get Droids of all shapes and sizes, whereas with Apple you’re stuck with the iPhone and it’s 3.5-inch or 4-inch display. Google released a new version of its app for the iPhone and the iPad on Tuesday, and it’s filled with so many features that it’s hard to figure out which are worthy of your attention. We checked out some of the features and here are our five favorites. When users tap on an image search result to enlarge the picture, they can now tap on the image with two fingers and drag them apart to zoom in further. Similarly, users can drag their two fingers toward each other to minimize the image and return to the results. Users can quickly start searching with their voice as soon as they open the Google app by simply saying, “OK Google.” As soon as the app hears the command, it will activate voice search and listen for whatever users want to look for. Users can say “OK Google” anywhere within the app — even if they’re looking at an image or have a website open. On Android, Google Now gives users notifications — a feature that was missing on iOS’ version of Google Now until Tuesday. With the update, users can set the app to give them reminders for various tasks. To do so, users simply tap on the search bar and then tap “remind me to…” That will launch a page where users can tell Google what to remind them of. Users can also say, “OK Google, remind me…” followed by what they would like to be reminded of. Users can set reminders based on a time and date or they can also set reminders based on locations. Users can program the Google app to send them reminders for their favorite artists, actors, politicians, celebrities, TV shows and movies by searching for them. Once the results appear, users can scroll down until they see “Remind you about…” or “Get updates about…” After tapping on that, users will receive updates for that person, group, show or movie on Google Now. Besides notifications and reminders, Google has also added several new cards that will appear when users check out Google Now. The feature will display users’ tickets for movies, concerts and other events, and it will also show flight boarding passes, car rental reservation confirmations. Users can also check out a card that will show a list of upcoming and nearby events. The latest version of Google for iOS is available for download now in the Apple App Store. 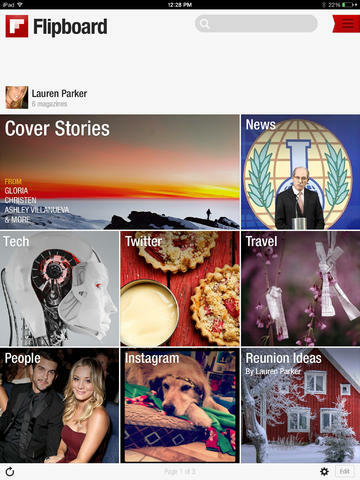 Flipboard has just received another update, which brings the popular social magazine app to version 2.1. Flipboard 2.1 serves as an optimization update for the iPad Air and iPad mini, offering better performance and more polish for Apple’s newest tablets. The update is also said to include speed improvements on all iOS devices, including the iPhone 5, iPhone 5s, and iPhone 5c, which now have more section tiles on the first page. In addition, touches throughout continue to embrace the fresh, modern design of iOS 7. For example, the social action icons like the like heart and comment bubble have had a makeover, and avatars are now round. The visual experience of Flipboard should feel more streamlined. The latest update to Flipboard also adds the ability to change the text size settings in the app and an onscreen alert for when there are new items in a feed. Also including miscellaneous improvements and bug fixes, Flipboard 2.1 is available now in the App Store for free. The app is compatible with iPhone, iPod touch, and iPad running iOS 5.0 or later. Flipboard 2.0 was released late last March, allowing users to collect and save content into their very own magazines. In the interim, Flipboard received a number of intermediate updates that added new features, including profile pages, magazine co-curation, Instagram video support, and animated GIF support. One of the coolest things about Apple’s new iPhone 5c is the fact that it comes in a variety of colors. There have long been rumors about a colorful iPhone that would break the traditional white and black mold for devices, and this year was the year that we saw Apple break out of its shell. However, it also came in the variety of adding a gold iPhone 5s to the line up as well. Now, if you’re anything like me, you have probably wondered which colors sold the best. While I personally would have gone with the space gray iPhone 5s, and either the blue or white iPhone 5c, I never knew where others stood on the idea. Now, thanks to Consumer Intelligence Research Partners (or CIRP), we can get an idea of which colors have sold the best. As evident in the chart above, my color choices would have been among the most popular (I say would have because I’m still tied down to a contract, so I’m stuck with my iPhone 5). The space gray iPhone 5s accounts for 43% of sales, while silver and gold are close to each other at 30% and 27% respectively. While the gold number is respectable, it is still quite a bit higher than I anticipated. I personally am not a huge fan of the gold iPhone, or the idea of a gold phone, but it seems like Apple has been successful with its new color choice. When it comes to the iPhone 5c, blue is the most popular color, but white is not far behind. Blue and white combined account for 52% of all iPhone 5c sales. These have definitely been the most popular colors, and pink and green are actually not too far behind. Yellow is the outcast in the group, only accounting for 7% of sales. The charts also go on to break down the device sales by gender as well.